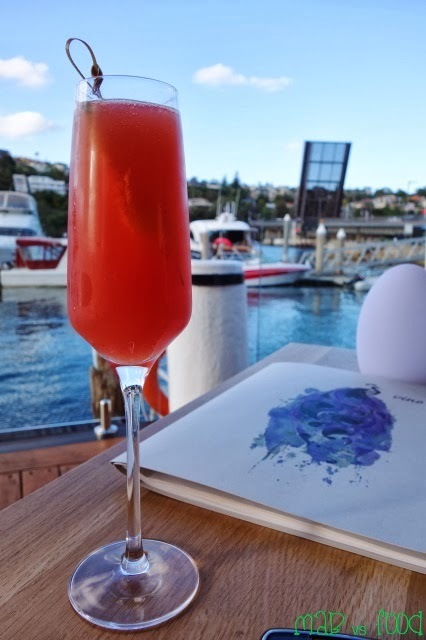 Let me introduce you to the Stressless Sunday Dinner menu, which is in my opinion the best value degustation menu at a hatted restaurant in Sydney. On a Sunday night, $69 will get you 6 courses (just over $11 a course). I don't need to tell you that this is amazing value in a city where tasting menus are often priced in triple figures. And of course the food is sublime too! I have come armed with Good Food Gift Cards, which I bought from Woolies with a 20% discount. This makes the best value tasting menu even better value (that's $55.20, excluding drinks). Score! There are some notable restaurants that accept the Good Food Gift Card, including Quay and Bridge Room, so it's a good idea to stock up on some gift cards when you see them on sale. A few things have changed since my last visit. 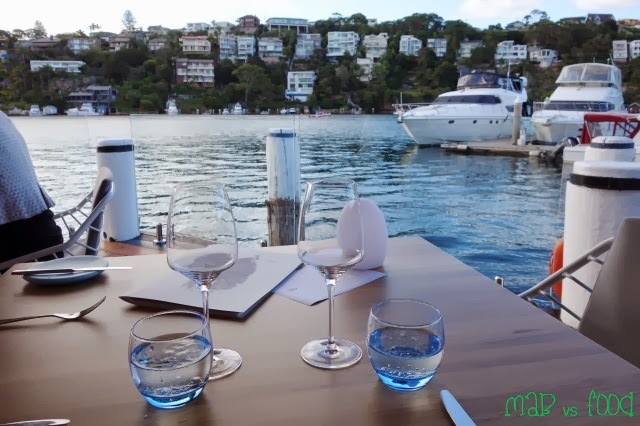 Gone are the white table cloths in favour of wooden tables and comfy chairs which go well with the relaxed, waterfront setting. There has been a change in head chefs too. 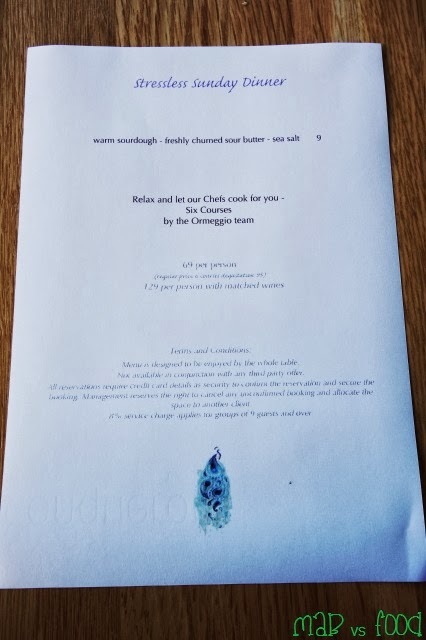 Federico Zanellato (ex-La Pergola in Rome and ex-Ryugin in Tokyo, both 3-Michelin star restaurants) has left his post as head chef at Ormeggio to open his restaurant at the Ripples, Sydney Wharf site (anticipated to open end April, so keep an eye out for this one). Victor Moya, who has been a sous chef at Ormeggio for a number of years has been promoted to head chef. As usual, my wife had a vegetarian menu and I had the standard menu. Ormeggio are great at accomodating for a range of dietary requirements with prior notice. Yes, bread will cost you an extra $9 at Ormeggio. But if you don't want to pay an extra $9, you can give the bread a miss. But I think you will be missing out if you do. Ormeggio's sourdough is a top quality bread with a nice crust and a nice, robust flavour. 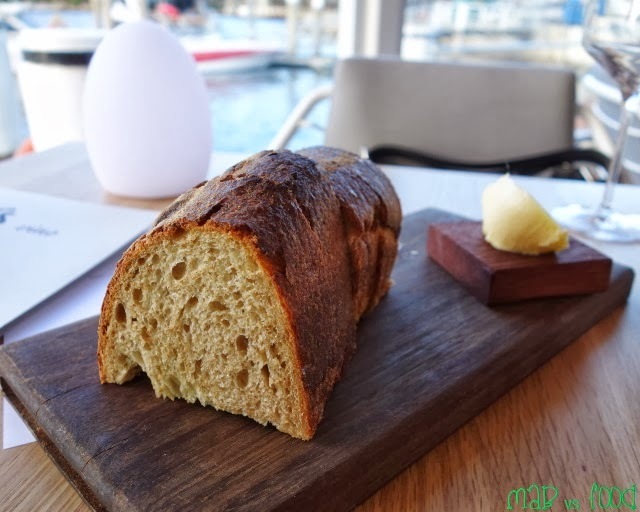 A warm sourdough with a great house-churned butter and some flakes of sea salt is the best way to start any meal at a fine dining restaurant. The first course for me was veal tonnato, which is a classic Italian dish but Ormeggio have put a modern twist to it. 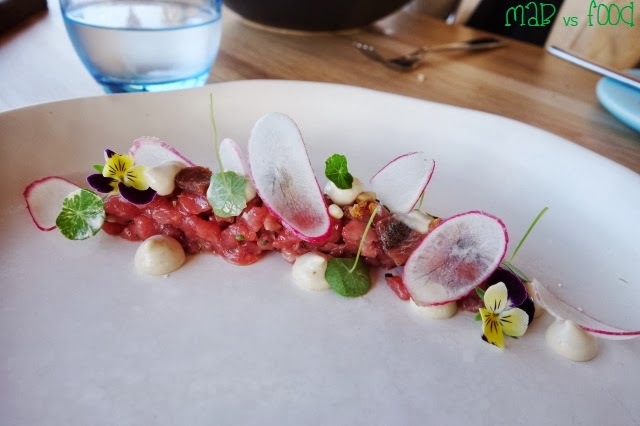 Instead of slices of veal there was veal tartare, with anchovies, capers, toasted pine nuts and a creamy mayonaise infused with tuna flavour. This was a fresh dish with lots of clean and amazing flavours that work brilliantly together. My wife's first course was this fresh, modern take on a caprese salad. Tomatoes were came three ways: confit, fresh and in ice form. 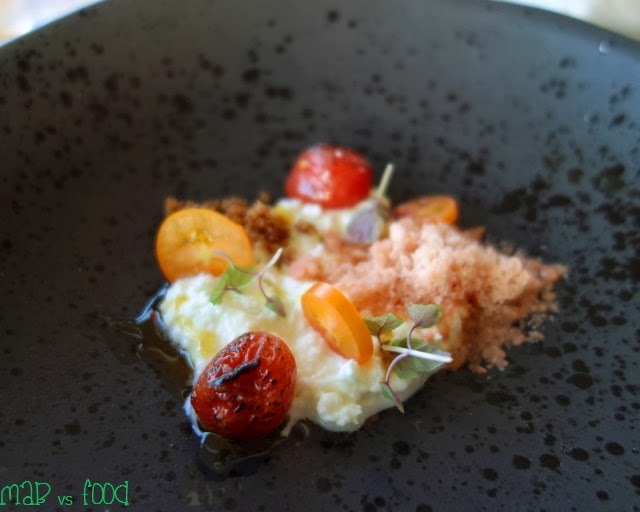 The tomatoes were served with burrata cheese, that knotted mozzarella cheese with creamy, runny innards. The burrata had a rich, buttery flavour and is an obvious win with juicy tomatoes that burst with flavour! Hand rolled pastas at Ormeggio is in my view the best pasta you will find in Sydney. On this night, we both had tortelli filled with a pea emulsion. The tortelli was cooked al dente and was smooth in the mouth. 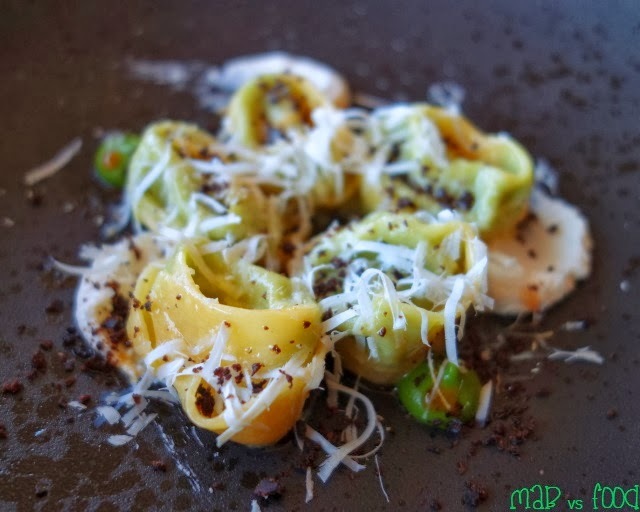 The flavours here are all fantastic and complimentary: subtle sweetness of the peas, saltiness of the olive, creaminess of the sheep ricotta and a smoky hit from the puree. My third course was a cured hapuka with a capsicum puree, crispy kale and grilled leeks. Hapuka is one of my favourite white fishes with its firm flesh and slightly sweet flavour. 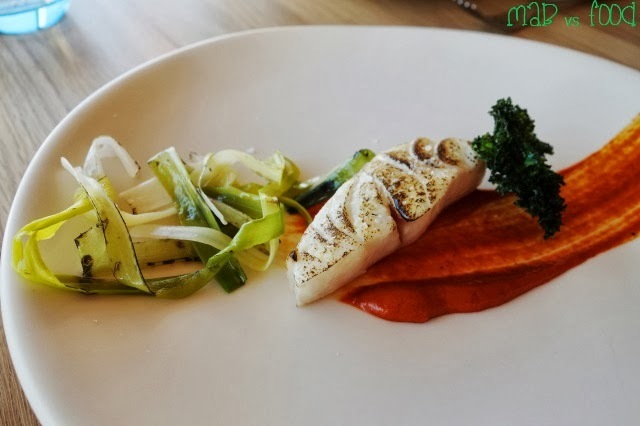 This dish was a winner: perfectly cooked hapuka with a nice, soft and moist flesh and a delicious, sweet capsicum puree that works well with the flavour of the hapuka. My wife's course was modern interpretation of the classic Italian dish, eggplant parmigiana. There was the creamy flesh of the eggplant, the skin which was crispy and deep fried, and also a puree. My wife is a eggplant fanatic (and so am I!) so she enjoyed this dish. This dish also came with that yummy capsicum puree and some fried cheese, which my wife commented was the highlight of the dish. 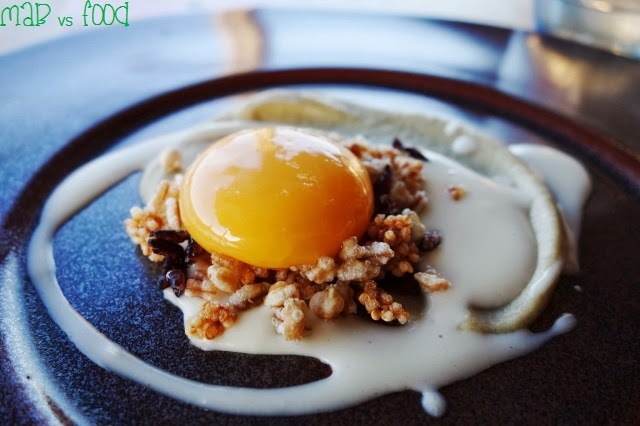 Next up was this delightful combination of warm, gooey egg yolk, crunchy puffed grains, smoky eggplant puree and cheesy pecorino sauce. There may not be many solids in this dish and it may feel like eating a sauce, but me oh my was it delicious! Once you mix it all up, you get this eggy, cheesy, creamy, nutty and smoky concoction that is just downright addictive and tasty! Not only does Ormeggio makes the best pastas in Sydney, they also make the best risottos, so I was slightly jealous that my wife was served a risotto dish and I wasn't. 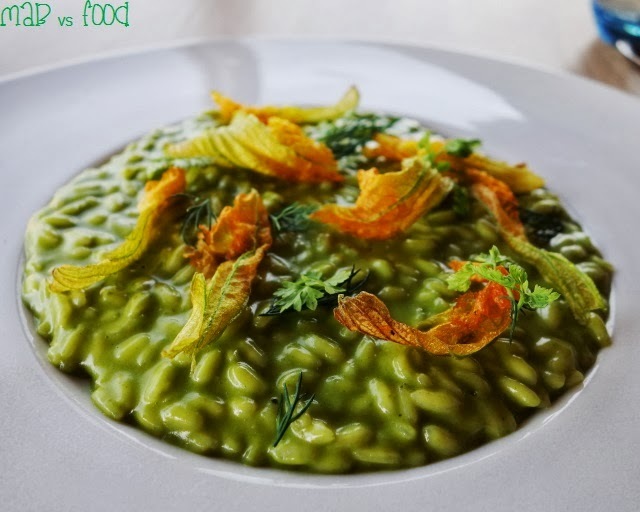 This risotto was another rich, creamy and comforting risotto that we have both come to love at Ormeggio. The Carnaroli risotto is cooked al dente and what I love about the risotto here is that you can taste every grain of rice. The rice has a nice bite but is by no means chalky. The grassy flavour of the watercress together with the creaminess of the risotto was a winning combination. 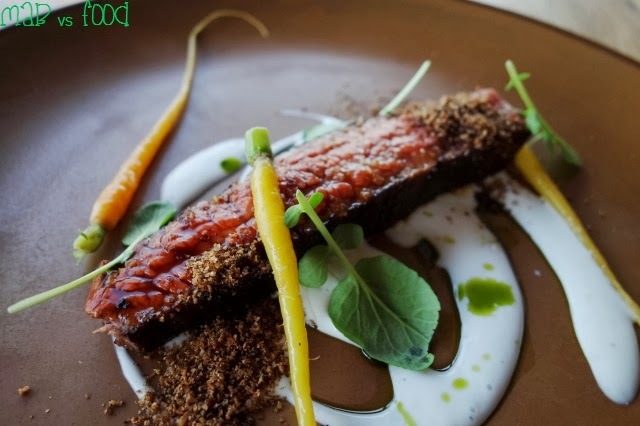 My last course was a wagyu beef that was slow cooked, sous vide style for several hours. This yielded a tender and flavoursome piece of meat. I thought the combination of the earthiness of the coffee with the creamy goats yoghurt and the heirloom carrots was a thoughtful one. For dessert, we both had this black chocolate torta, a new addition to the Ormeggio menu. 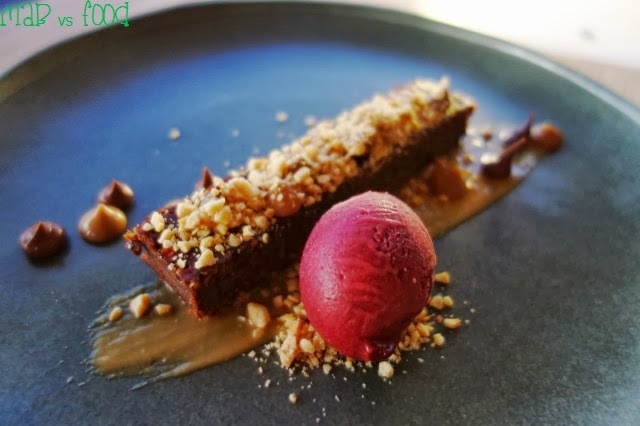 This dessert was all kinds of awesomeness and basically tasted like a big Ferrero Rocher with its classic combination of chocolate and hazelnut. Ormeggio uses Amedi Tuscan chocolate, an Italian artisan chocolate, and it was amazing! The chocolate ganache was just so rich and decadent. And there is no shortage of hazelnuts in this dish with crushed hazelnuts scattered over the torta and a smear of hazelnut sauce painted onto the plate. And that black current sorbet... also amazing! The tartness of the sorbet with the richness of that chocolate, so good! 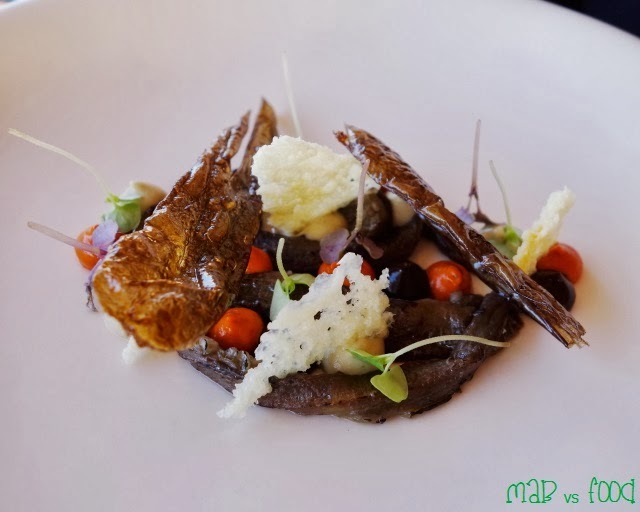 Highlight: The Stressless Sunday Dinner at Ormeggio is the best value tasting menu at any hatted restaurant in Sydney, let alone a two-hatted one as good as Ormeggio. Lowlight: The Stressless Sunday Dinner offer is only available on Sundays (unfortunately and obviously).